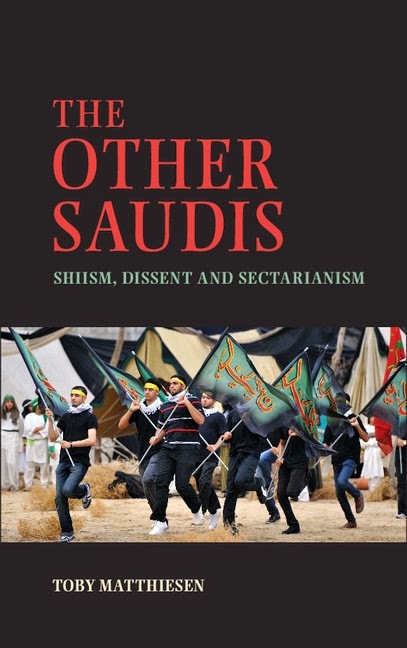 His new book is The Other Saudis: Shiism, Dissent and Sectarianism. After finishing The Other Saudis it was a real pleasure to find some time to read fiction. I grew up with novels and it was only in graduate school that the heavy academic workload and long reading lists started to take up most of my time and I could devote less time to fiction. So after having worked on The Other Saudis for about eight years on and off, I was thrilled to just sit back and read The Goldfinch by Donna Tartt. I was hooked from the start. Apart from the gripping plot, and its darker moments, the novel is a homage to art, and to the great metropolis, symbolised here by New York. Its rich description of the antique shop, where its protagonist spends much of his life, and of the many faces of the city, encouraged me to rediscover that other great city, London, in particular its quirky little shops and antique dealers. It even made me go down to the National Gallery and admire a self-portrait of Carel Fabritius, whose "Goldfinch" is a recurrent theme in the book and gave it its title. Incidentally, a couple of weeks earlier I had spent time in an archive in Amsterdam for my forthcoming book on leftist movements in the Middle East (Amsterdam has an archive on global workers movements, the International Institute of Social History ). The last part of The Goldfinch is set there and so it also reminded me of my visit to the Rijksmuseum, where I was amazed by the details and colours of the Flemish masters, many of whom feature in the book. I also read Eric Hobsbawm's classic The Age of Revolution: Europe 1789–1848 with the Arab uprisings and the global protest movements of 2011 in mind. It was perhaps the first time since these revolutions had started in 2011 that I had serious time to read something quite unrelated to my academic work and on an earlier period. But it was an enlightening reminder of how long, protracted, and complex revolutionary processes are. I recently wrote an article as part of a workshop at the LSE on the "Arab Thermidor", and while one does not want to push the analogy with the French and European political experiences too far, Hobsbawm can remind everyone who is depressed about the fallouts from the so-called "Arab Spring" that counter-revolutionary setbacks are almost bound to happen, but are most often temporary. Even though it is partly a tale of counter-revolution, of death and of wars, The Age of Revolution has been the most uplifting book I have read in a long time, and I recommend to read or reread the book with an eye on our tumultuous times. In my own field, the Arab uprisings have spurred the publication of a number of extraordinary books (together with quite a lot of worthless material). But it is undeniable that the number of good books published in Modern Middle East Studies has increased greatly. I just finished Pascal Menoret's Joyriding in Riyadh: Oil, Urbanism, and Road Revolt. Menoret is an anthropologist, who did extensive fieldwork in Saudi Arabia around the time that I did research there for my PhD, even though we never met. But some of the obstacles and intricacies of fieldwork he describes, such as the challenge to build trust with informants and deal with state surveillance, remind me of my own experience in the kingdom. The book is written extraordinarily well, and follows several groups of young, male Saudi "drifters" on their nightly races across the urban jungle that is the Saudi capital. Built for cars, the city is an example of a petro-high-modernity, where consumerism and car culture reign supreme. The subversive act of racing across the city at phenomenal speeds and then drifting, a practice that has become widespread across the Gulf and has from there entered Western pop culture, such as in this M.I.A. video, is a tactic through which lower-middle class Saudi men try to reclaim the streets. Menoret's book, like my own, is an attempt to write about Saudi Arabia beyond stereotypical clichés of Oil, Islam, Princes and Terrorists.